Rv Lots and Park Models have become a very popular niche of Real Estate investing. The obvious reasons are that you can invest in an RV Lot or Park Model and as an owner, use your RV Lot or Park Model yourself as a vacation haven, as a second home or for full time living. What many people overlook with RV lots and Park Models is the potential for additional income offering your RV Lot or Park Model in the Real estate rental market. Many of the same thoughts regarding investing in a Condo apply to investing in an RV Lot or Park Model. What about Retirement? RV Lots and Park Models are very popular for retirees. Depending on the by-laws and covenants of a park or resort and city or county ordinances, many will rent or lease their RV Lot or Park Model short term for vacation renters, medium term seasonal renters for 3 to 6 months or even as long term 12 month or longer leases. We have run into many investors lately that are buying RV Lots and Park Models as investment properties due to the great ROI (return on investment) some properties can offer. We have seen RV Lots in Parks or Resorts near the beach have very little rental vacancy. Campgrounds are limited and seem to fill up during the peak seasons. If you own your own RV Lot, then you no longer have to schedule your vacations around the holidays and peak travel times. If you rent your RV Lot or Park Model, then it is possible that you may want to rent it during these Peak Times (if rules allow for short term rentals). Be sure to check the RV Lot Park or Resort’s Rules prior to purchasing to make sure that the rules work within your investment ideas. Some Parks and Resorts are “Adults Only”, “55 and Older”, “No Rentals”, “No Pets” and we have run across a few that are “Nudist Communities”, so you need to know the rules before you buy. RV Lots in Parks or Resorts on or near Rivers and Trout Streams appear to be desirable. 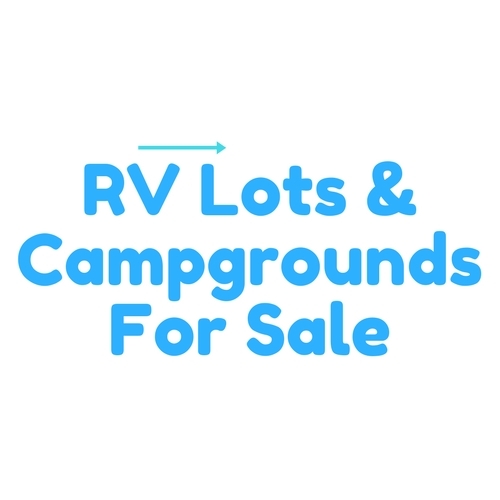 Here at RVlotsandcampgrounds.com, we are not offering your Real Estate Investment advice, you should always consult a professional for that. We are here to help owners get their properties seen by buyers and help buyers locate RV Lots and Park Models for sale easily. There are also Membership RV Lots and Park Model Resort or Parks where you purchase a membership and are offered either a limited number of days a year, or can purchase a deeded RV Lot and pay membership dues for amenities. There are many different options available, so again, make sure you read the governing rules of the community before purchasing. Some Parks or Resorts sell deeded RV Lots and some sell deeded fractionated portions of the entire Park or Resort. You will want to check with a professional to see which way works best for you, but some of the advantages are within the Resort or Park Fee. You will want to see what is included with your Resort or Park Fee. Park fees can cover, but do not always cover some of the following: Pool, Clubhouse, Insurance, Water, Sewer, Landscaping, Taxes and sometimes Internet and Cable. Make sure you find out what all is included in the Park or Resort Association fee.